Step by step: Greater Anglia has released a new image of its Stadler bi-modal FLIRT UK trains under construction in Switzerland. This time they show is the first front covers for the driver cabins. Previously we already saw image or car bodies under assembly. Greater Anglia is the brand name Abellio Greater Anglia Limited is using for its EastAnglia Rail Franchise, which it holds since 16.10.2016. 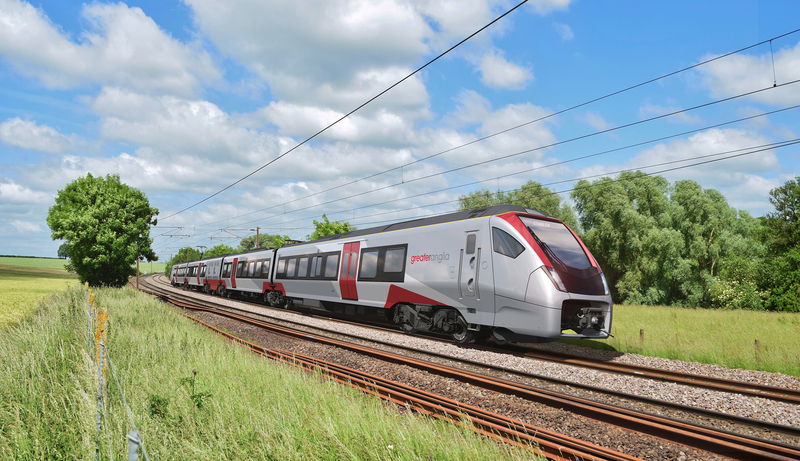 Abellio has ordered 38 3/4-car bimode trains (series 755) for regional services. Rock Rail funds the rolling stock. Below you’ll computer generate impression of the FLIRT UK vor Greater Anglia.